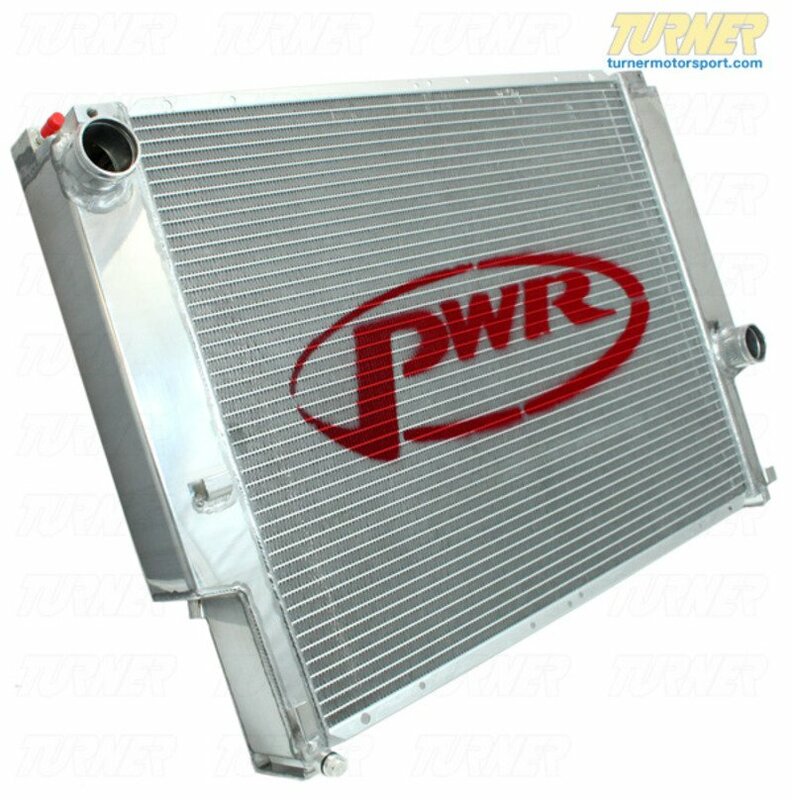 This PWR radiator for the E36 325, 328, and M3 is a super-large 55mm core with a larger tank capacity for bulletproof cooling. 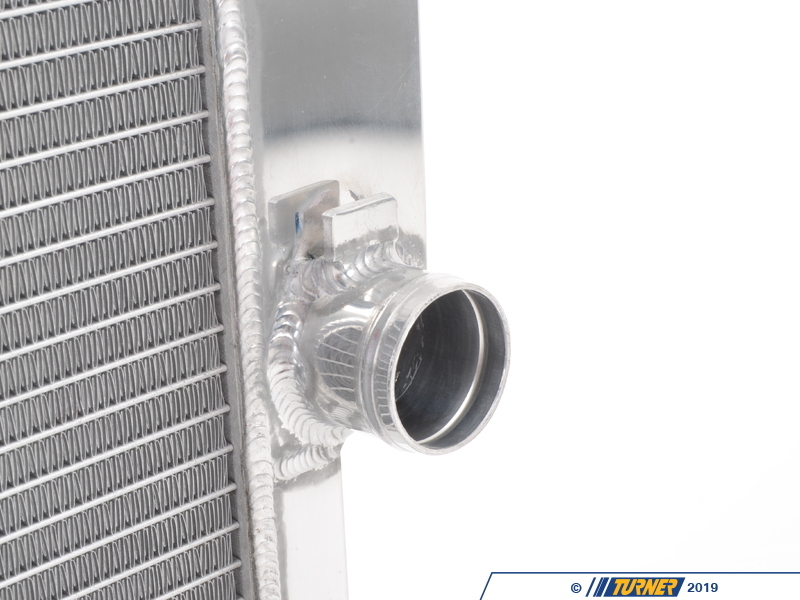 If you're looking for the most complete and unbeatable radiator solution for your E36, this is the best we have seen. Everyone knows the E36 has an Achilles heal in the cooling system with flimsy radiator necks, plastic materials, unreliable water pumps, and not a lot of capacity for some applications. PWR has addressed some of these issues with the ultimate radiator. The 55mm core is a full 13-17mm thicker than the stock radiator. With minor adjusting during installation, all of the factory shrouds and fans will fit. Having a greater capacity means less saturation time for the cooling fluid which leads to more consistent engine temperatures, reducing wear and tear on other cooling components such as the water pump and thermostat. It's also hugely beneficial when using forced induction where increased underhood temperatures will snowball through the rest of the engine compartment and eventually the cooling system. Don't let your radiator end your race! 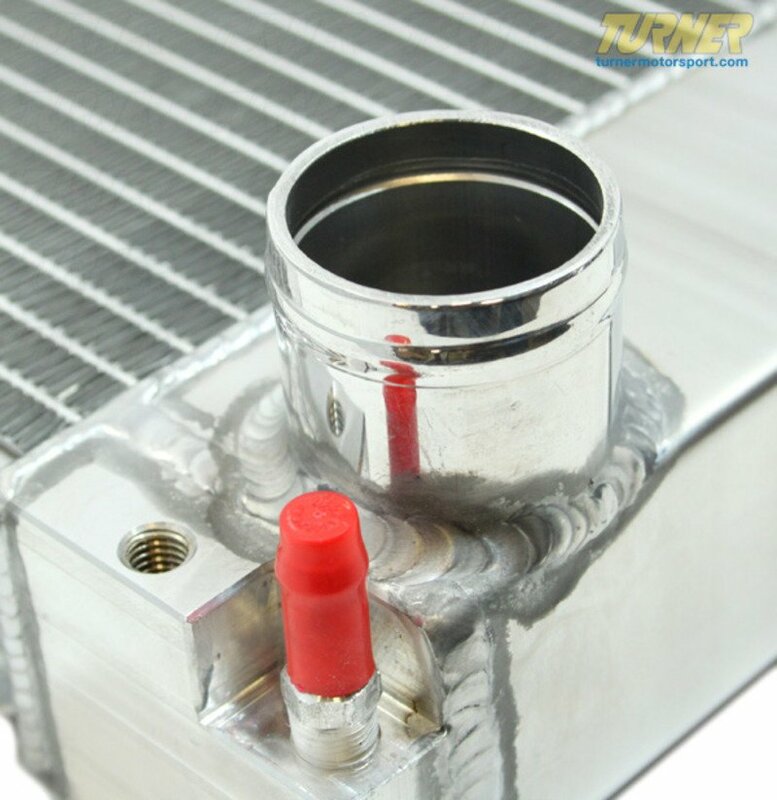 Not only is this radiator larger, it's designed with the stresses of motorsports in mind. 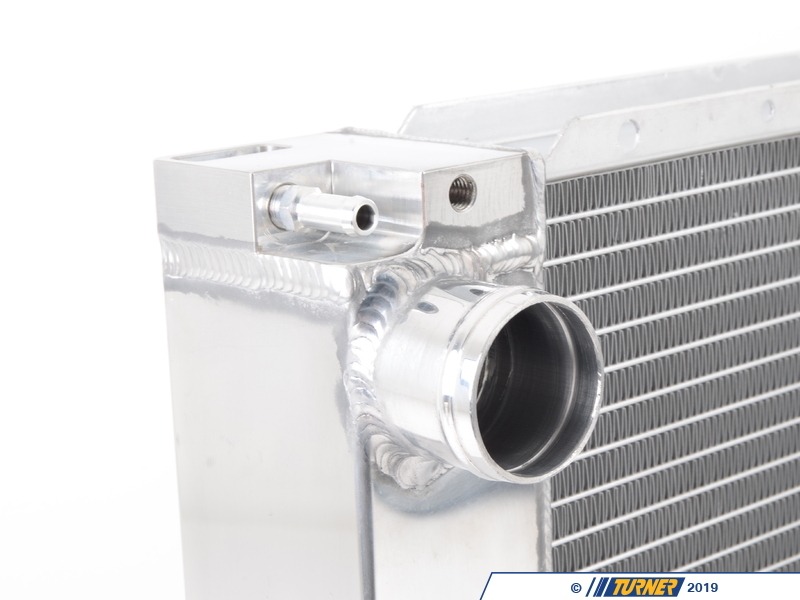 The cooling vanes use a unique oven brazed bonding technology that will not fatigue and crack like epoxyed construction. We have been more impressed with the fitment and quality of PWR over any other brand currently on the market. 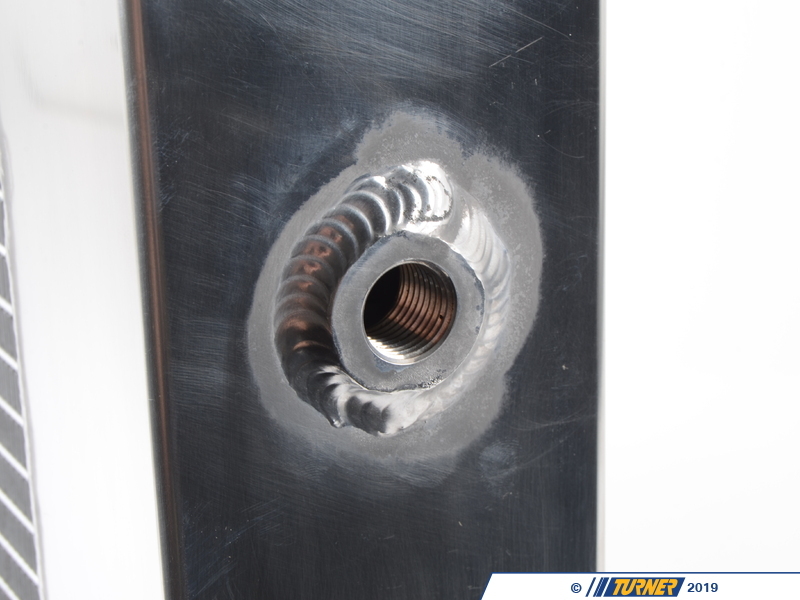 Aircraft-grade aluminum is used for the tanks and frame, which are TIG-welded for superior strength. 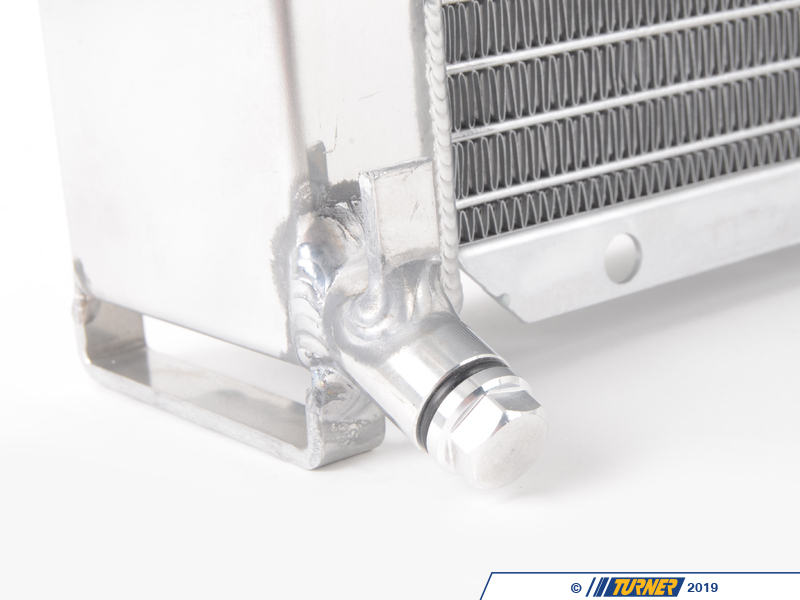 The bottom of this radiator incorporates hangers which can be used to mount the stock Euro oil cooler or the TMS Oil Cooler Kit. We have used this on in-house and customer projects and it is a replacement for the stock E36 radiator, with all of the same hose locations and fittings as the original radiator. It mounts to the car with the original clips on the radiator support and the fan shroud/expansion tank bolts to the radiator (you will need to supply your own hardware as spacing and installing the shroud can be done several different ways). But because this is an extra large version of the stock radiator some manual adjusting and fitment care will be required. Professional installation is not required but may be necessary. Each radiator is pressure-tested during manufacturing. Because of the extra depth required between the radiator and engine, extra care will be needed when installed with forced induction kits, non-stock oil coolers, and lines. 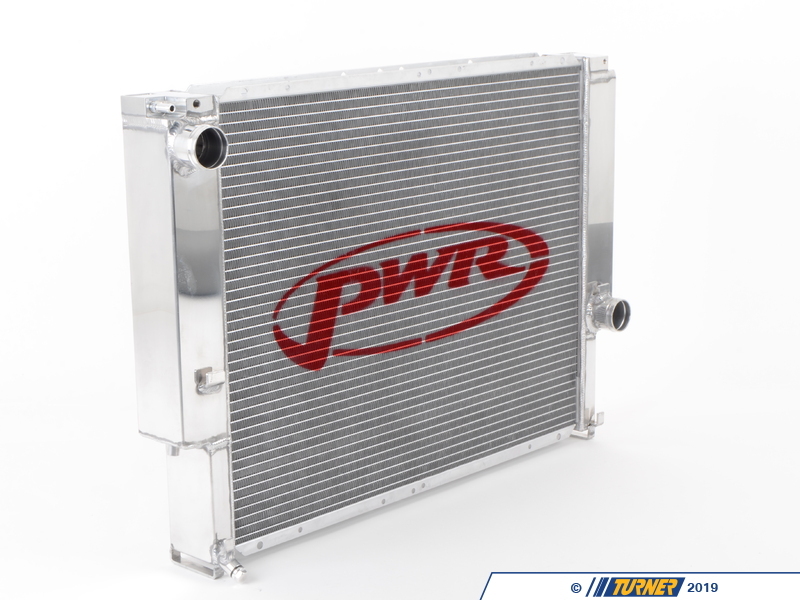 PWR is a world-renowned radiator manufacturer, supplying all forms of motorsport from Formula One (2010 World Champion Sebastian Vettel) to WRC to NASCAR. 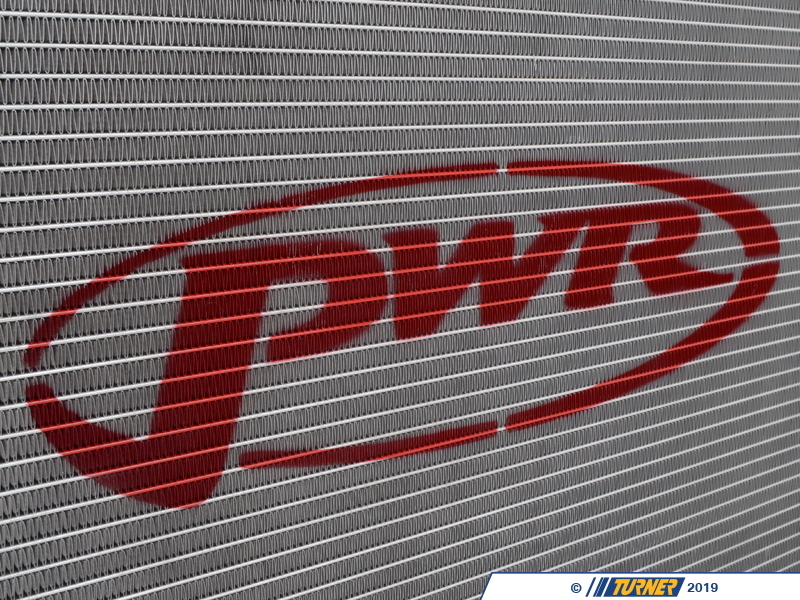 Our TMS Race Team uses PWR for our cooling needs in the Rolex GT and Continental Sports Car series.